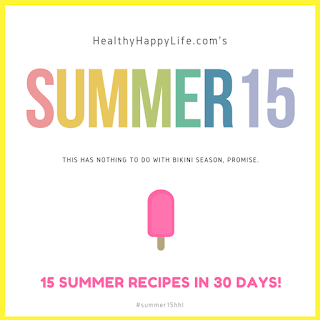 Well I have to say my Summer 15 Challenge (15 new summer recipe posts in 30 days!) has been harder than I thought. Only because come summertime, posting gets harder and harder simply because there is so much more to enjoy outside, under the blue sky than in front of a computer. But hey, a girl has to eat, right? So on this busy Friday, I returned home from a quick beach morning with a friend, and I knew I had to post something to keep to my schedule. And I was also hungry for a late afternoon lunch. So, as often happens, lunch became work! 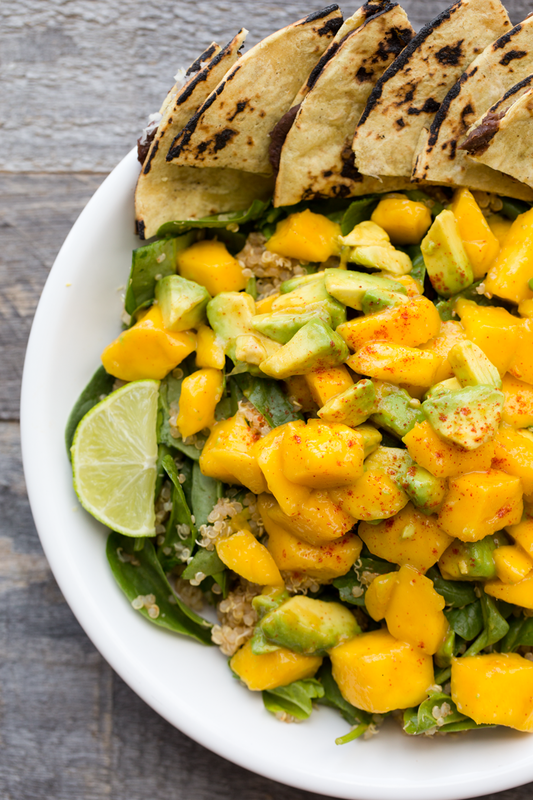 This Chili-Lime Mango-Avocado Quinoa Power Salad is so flavorful, cravable and energizing with juicy summer mango and buttery avocado, all soaked in zesty lime juice and a hint of smoky paprika. 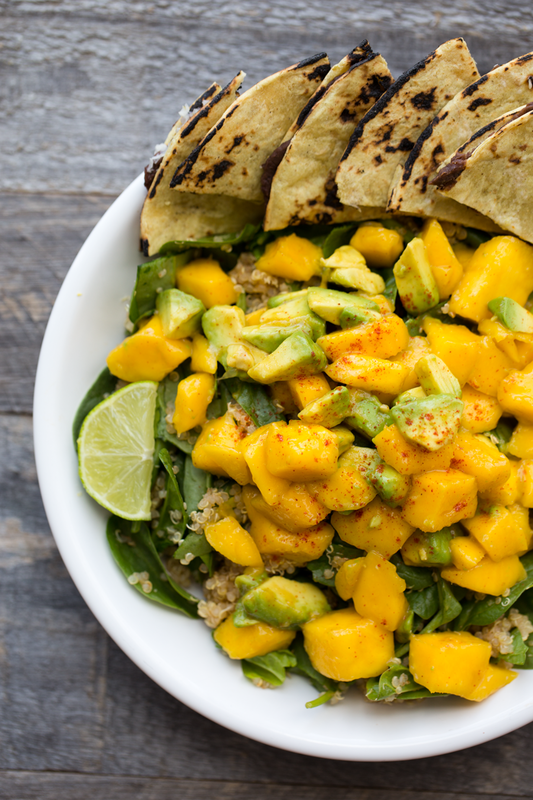 Protein and fiber-rich quinoa tosses with yummy spinach and a few black bean tortillas on the side. 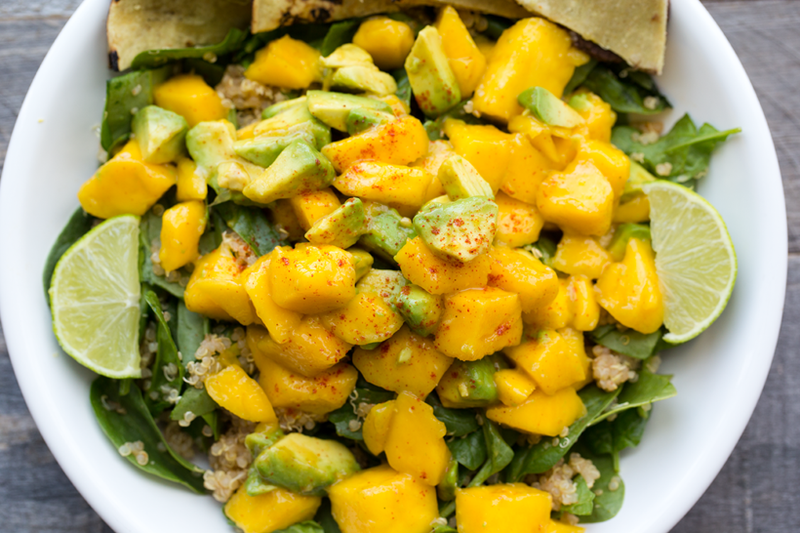 I loved this easy vegan lunch and hope you do too!.. 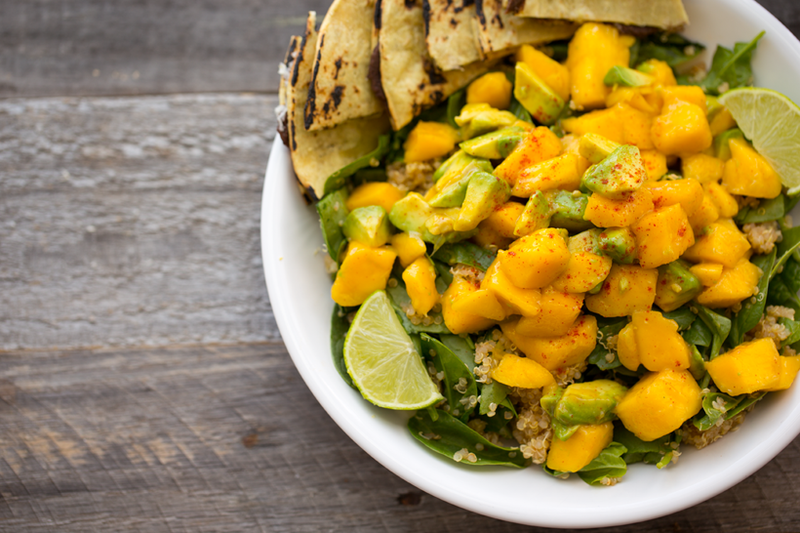 A really yummy addition to this salad would be: skillet plantains. YES. Just a thought. So what do you guys have planned for this weekend? I have to say, I am happy to be untethered to anything too adventurous. Bring on a lazy weekend speckled with work projects and some fun outside. Oh and the Game of Thrones season finale! Exciting. 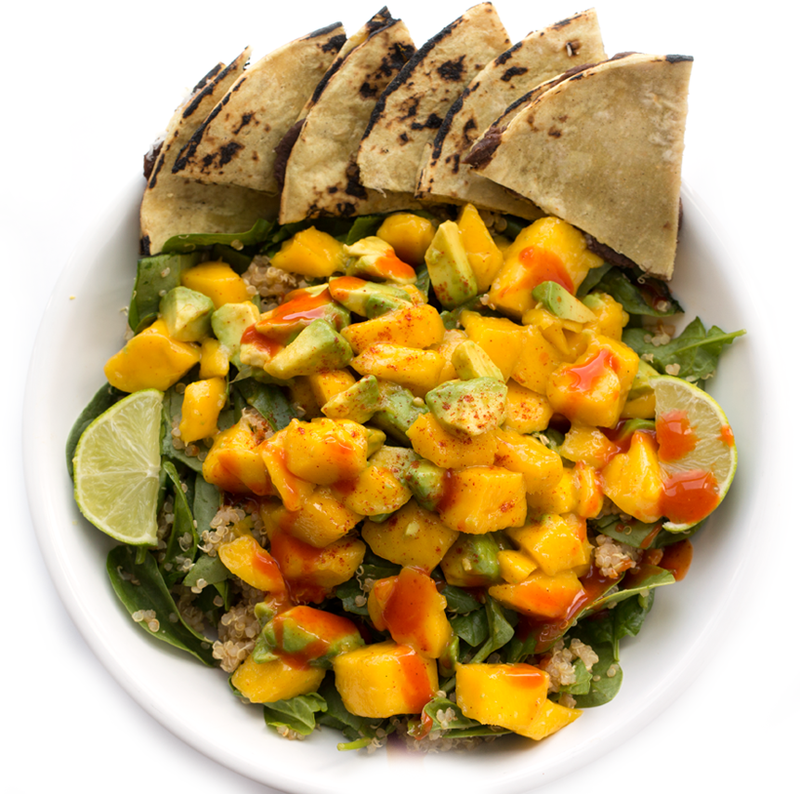 This salad reminds me of one of my faves: Mango Arugula Avocado Macadamia. 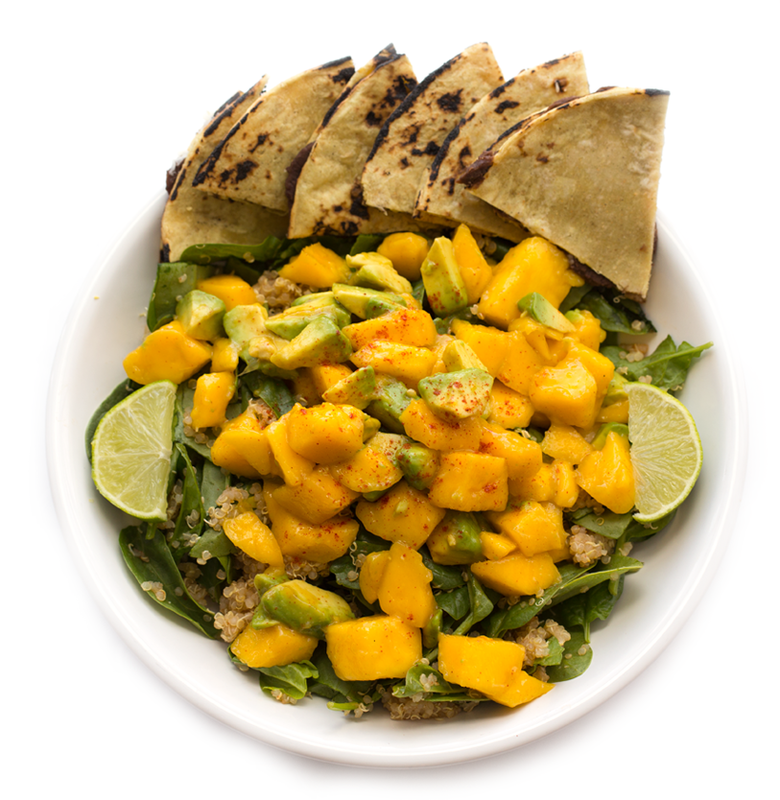 This power salad is flavorful and fueling with juicy mango and buttery avocado soaked in lime juice on top of a quinoa spinach salad. Optional black bean tortillas on the side. Pour the mango mixture into a side bowl. In the same large mixing bowl, add the spinach and quinoa, toss well. The warm quinoa will lightly wilt the spinach. 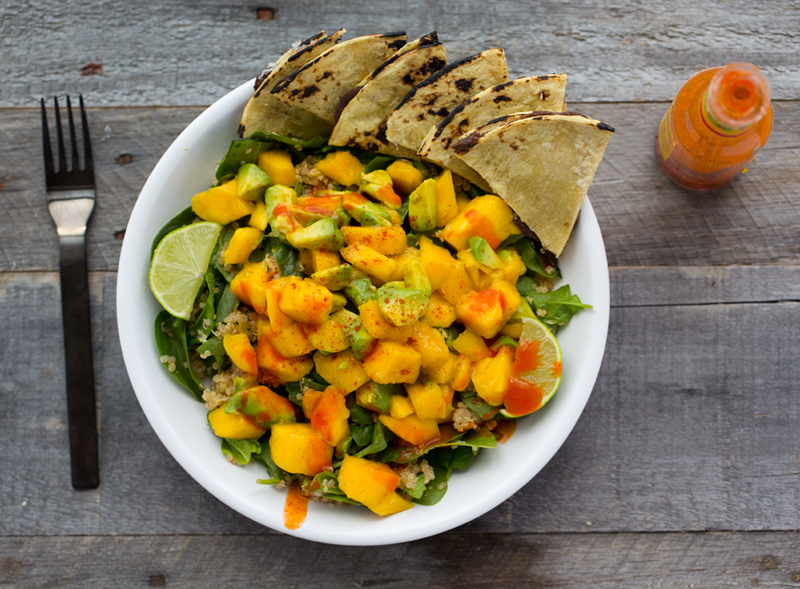 Add whatever dressing you'd like -- but dressing is actually optional because the mango topping is so full of flavor. Pour the spinach mixture into your serving bowl. Then top it with the mango mixture. Add a sprinkle of smoky paprika on top. Optional: garnish with easy quesadillas. I simple warm the tortillas on my stovetop to blacken, spread the mashed beans or refried beans or hummus on top -- add the cheese or nutritional yeast - and close with a second tortilla. Slice and arrange alongside your salad serving bowl. 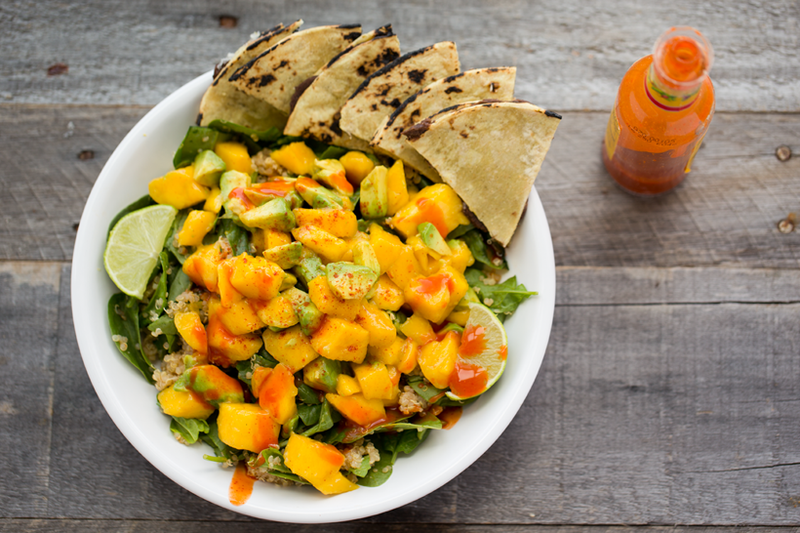 Serve salad with hot sauce. This is recipe #12 in the Summer 15!..